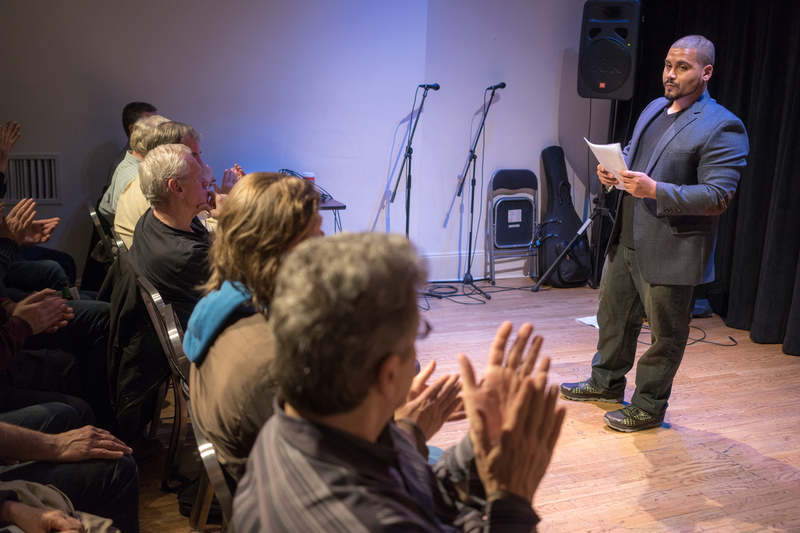 The evening was off to a great start when native New York poet Justin Colón-Rabinowitz recited his poetry with grace and authority. Justin shared a number of powerful and intimate poems in front of the standing room only audience, many of which spoke about his family members’ emigration from Puerto Rico to New York City, their ephemeral joys and pains, and the resiliency they showed while adapting to life in the borough of the Bronx. Justin will be graduating from Hofstra University’s MFA program in December, 2015, and he will be reading his poetry at the KGB club in Manhattan on Friday night, December 11th. 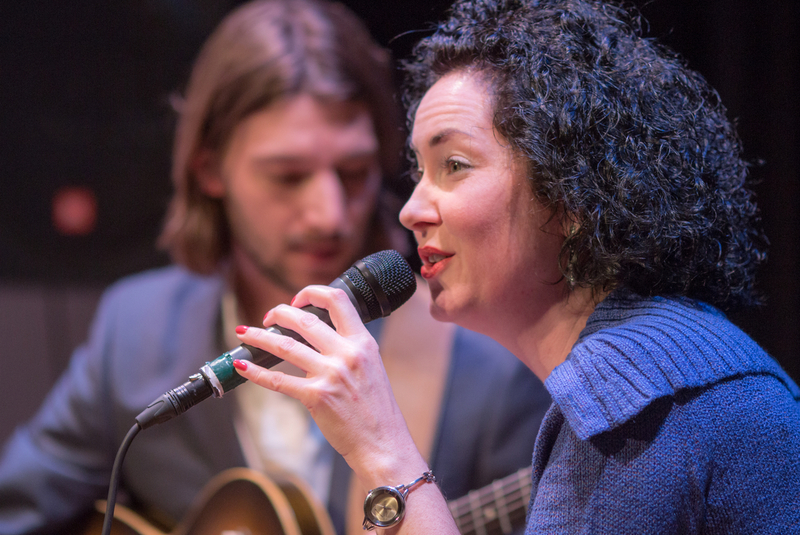 The very popular–with good reason–Celtic-jazz songstress Tara O’Grady jammed with the extraordinary guitarist Justin Poindexter from the band Silver City Bound (formerly The Amigos) who accompanied Tara on her original blues and folk songs. 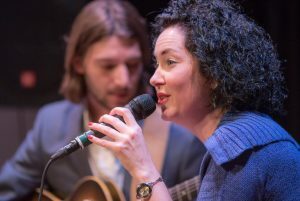 The pair have collaborated on three of Tara’s cds including “Good Things Come to Those Who Wait” (2011), “A Celt in the Cotton Club” (2013), and most recently, “Irish Bayou” (2015). 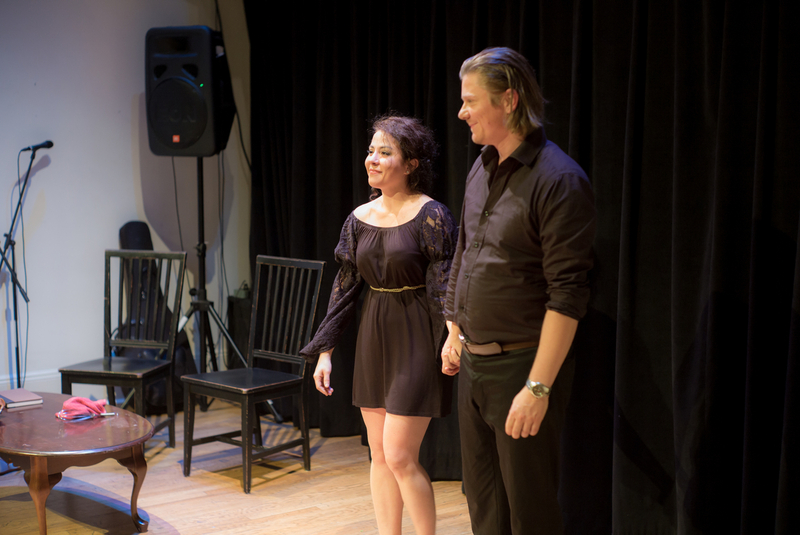 When Stella Pulo started, the audience started laughing. And they didn’t stop! Stella is quirky, hilarious, entertaining and, at times, poignant. 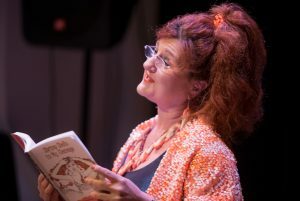 With “Shrimp Shells in Her Cleavage,” she transported the audience to a place where she once was, vacuuming cockroaches and rabbit pellets from the bed of a “Dolly Parton” knock-off. Stella is an wonderful writer and performer, Sophie Kinsella and Tracey Ullman rolled into one. When the silence gets thick enough to eat with a spoon, you know something good is happening on stage. Faye Franzini and Tue Hoe bared their own hearts and ripped each other’s in a scene from Brendan Connellan’s “Kill the Bid.” Two people can love each other very much but, sadly, it doesn’t mean they always agree. Wonderful courage from both actors to risk putting it all out there. 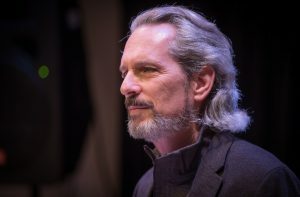 Richard Deane returned to the Artists Without Walls’ stage with an emotionally provocative reading of the opening scene from his novel in progress, “When Yesterday Comes.” His use of poignant atmospherics and straight to the heart exposition pulled the audience into the midst of the dramatic conflict between his vividly constructed characters. Richard’s unabashed exploration into an uncomfortable subject was both captivating and moving. How does someone who has spoken a different language all their life, write such evocative tunes in their second language? 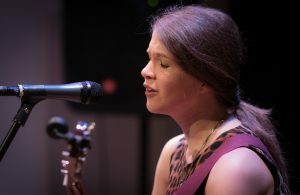 Martina Fiserova, Prague born singer songwriter does just that, delivering heart felt songs in spell binding performances as she did on Friday night. Martina performed a number of songs from her new CD “Shift”, which she is currently promoting. With the support of highly experienced soundman Paul Bevan, Martina captivated the audience; Her music was the evening’s icing on the cake. “Thank you for having the angelic Martina Fišerová on the bill last night – as always, her performance brought me to tears,” said Suzanne Bernier.